Legendary film composer Nisar Bazmi passed away in a Karachi hospital on the evening of March 22. Bazmi Sahab, as he was called in the film trade, was born in India and turned to music in his early teens. His first chance came with a theatrical production in Mumbai called Nadir Shah Durrani. He had also worked before worked at All India Radio in Mumbai. His film career began when he was twenty-one with Jamana Paar (1946). And even though Bazmi Sahab went on to compose for dozen of mediocre titles like Jeb Kutra, Extra Girl, Daghabaaz Dost, Bholey Bhaley, Josh, Ghazab, Ram Bharosey, Gorilla, Khooj, Adam Khor, Pyara Dushman, Silver King, Bhala Admi, Kal Kia Ho Ga, Jungle Prince and Khaufnaak Ankhaeen, he always remained blunt and was always frank to admit that he never was able to get a prestigious assignment in Mumbai. Asha Bhonsle may have sung for him, but back then it was only Lata who counted. According to Nisar Bazmi, his film share in Mumbai consisted of almost entirely stunt; Low-B and even C rated films. He desperately wanted to cross the border and compose for Noor Jehan, the woman whose migration to Pakistan left the Indian Film industry an open playing field for Lata Mangeshkar. 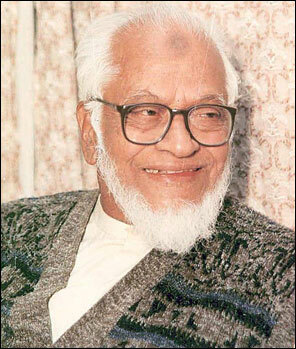 Bazmi Sahab migrated to Pakistan around 1962 and settled at Karachi. It was tough to get film assignments here or at Lahore. The film music scene was dominated by Khwaja Khursheed Anwar, Rashid Attrey, Chishti, Inayat Hussain and they were joined in by Sohail Rana and Robin Ghosh. So where exactly did Nisar Bazmi fit in? His first assignment in Karachi was Head Constable which was an instant disaster. However, he managed to have his wish come true with Noor Jehan's 'Ai Kash Merey Lub Pey Tera Naam Na Aata'. Saleem Raza's 'Jan-e-Jaan Pyar Aa Raha Hai' was also a soothing melody but Karachi's poor orchestra was a damaging factor. For a good Class A orchestra, one had to move down to Lahore in those days. Nisar Bazmi didn't have to wait for long. He was signed by Fazal Karim Fazli for Aisa Bhi Hota Hai in 1964 and the film came out with smashing musical score in 1965: Noor Jehan and Ahmad Rushdi's all -time popular hit 'Mohabbat Mey Terey Sar Ki Qasam' and Noor Jehan's solo number 'Ho Tamanna Aur Kiya Jaane Tamanna Aap Hain'. This was then the beginning of Nisar Bazmi in Pakistan and there was no looking back. Raza Mir and Syed Afzal Hussain's Lakhon Mein Eik in 1966 turend Bazmi Sahab into a superstar. Aasra, Aag, Jaise Jante Nahi, Anjuman, Umrao Jan Ada, Andaleeb, Anmol, Wafa, Saiqa, Taj Mahal,Tehzeeb, Dushman, Pehchan, Talaash, Sachai, Anila, Nag Mani and the rest are all now our precious film and music history. Nisar Bazmi became the most expensive music director in Lahore and only super rich producers could afford his extra large orchestra. He was known for spending outrageously on his orchestra. Bazmi Sahab was not just a composer. He made sure that he arranged the orchestra himself, there by becoming both composer and arranger. He was such a perfectionist that nobody could beat Bazmi Sahib at his game. He went for classical, semi-classical, folk and even pop compositions and turned them into all time hits. Even his background score for films had its grandeur. His tussle with Noor Jehan over using Runa Laila in Umrao Jan Ada is also part of our film history. Noor Jehan could cross all boundaries on maintaining her stardom and monopoly, but she could also wipe off tea drops from Bazmi Sahab's shoes with her sari. And when Bazmi Sahab asked her not to insult him with this gesture, Noor Jehan said "whatever a singer's worth is, it is due to composers like Bazmi Sahab." However, later when Bazmi Sahab described the supreme importance of a composer in film music, Noor Jehan was offended by this comment. And Bazmi Sahab decided to opt out. These tussles between creative giants were what gave our film industry its vibrancy at the time. Nisar Bazmi won numerous awards for Saiqa, Anjuman, Meri Zindigi Hai Naghma, Khak Aur Khoon and Hum Eik Hain. Even for a completely dry film like Khan Aur Khoon on the Pakistan Movement, Bazmi Sahib came out beautifully with a poem of Ahmad Faraz in Mehdi Hassan's melodious voice 'Mei Teri Yaad Ko Is Dil Se Bhulaon Kaisey'. So what was Nisar Bazmi's forte? Good compositions with good lyrics by Masroor Anwar, Shevan Rizvi, Saifuddin Saif, Qateel Shifai and others (Bazmi himself was a poet and his collection of his poems has been published). His other asset was his ability to create and control a rich orchestra. He was also known for introducing and promoting fresh talent and the playback singers ranged from Runa Laila and Alamgir to Akhlaq Ahmad. But apart from Runa Laila, most of his best songs were rendered by Noor Jehan, Mehdi Hasan, Mala and Ahmad Rushdi, and in the later years, by Mehnaz and Naheed Akhtar in films like Pehchan and Talaash. Since Nisar Bazmi was highly expensive composer, his choice of directors was also highly selective: Hassan Tariq, Pervaiz Malik and S. Suleman. From his first film Head Constable to his last film Very Good Duniya Very Bad Loag, nobody could touch him in his compositions nor in orchestration. Talking about music, Nisar Bazmi recalled that there are some ragas which settle firmly at the very earliest stage like Kalyan on which he based popular ghazal of Ahmad Faraz in Mehdi Hassan's voice from film Mohabbat – 'Ranjish Hi Sahi'. He also praised Runa Laila who at the age of 13 was able to grasps all the teachings of Bazmi Sahab. Many of her songs were okayed by Nisar Bazmi in the trial takes. And then there were though assignments like 'Jo Bacha Tha Woh Lutaney Ke Liye Aye Haeen' in Umrao Jan Ada by Noor Jehan where Bazmi Sahib worked for 17 hours and he was still not satisfied on what came out. One guess is that Noor Jehan by now had lost some of her magic and her vocal cords had been partly or wholly damaged by excess she had committed with too many loud Punjabi compositions. Nisar Bazmi composed for seventy films in Pakistan in over 35 years and spent last part of his life in Karachi, mostly teaching young music enthusiasts. He also composed some of the best TV national songs: 'Yeh Watan Tumhara Hai', 'Khayal Rakhna' and 'Hum Zinda Qaum Hain'. 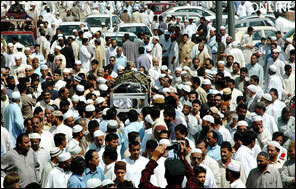 Today, physically, Nisar Bazmi is no longer with us. He would always be with us through his compositions and the imaginative use of a highly impressive orchestra that became his signature. 4. Mun mandir key devta (Lakhon Mein Eik). This song was banned on Radio Pakistan.